Situated on a privileged location on Fira’s Caldera cliffs, with magnificent views of the volcano, the deep blue of the sea and the most famous sunset from your private balcony. A stylish property newly renovated consisting of 14 suites with a Cycladic style using local materials, stone-built suites with organic forms and smooth curves blended nicely with whitewashed walls combines simplicity with luxury. 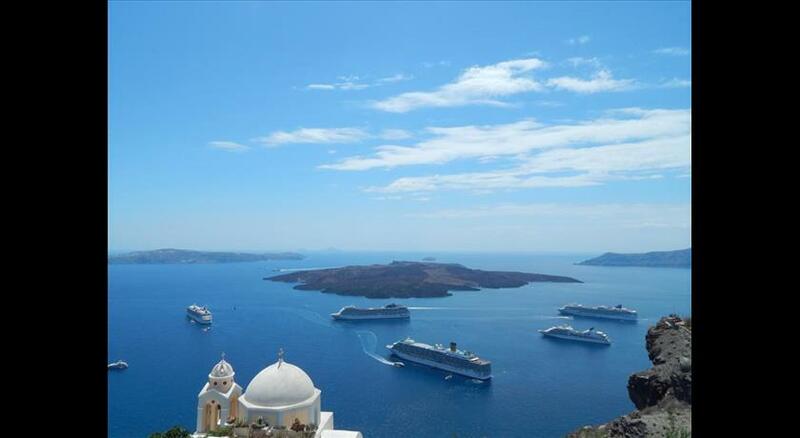 These traditional suites sitting on the edge of the cliff offer panoramic views of Fira Bay and the volcano. Porto Fira Suites feature uniquely shaped king size beds, wireless internet and satellite TV. Each unit offers a furnished balcony or terrace overlooking Santorini ’s world-famous sunset s. Airport shuttle service is provided and the helpful staff is happy to arrange for bicycle or car rental. Free Wi-Fi internet access is available throughout the property. Porto Fira Suites’ location close to Fira, provides the perfect base for walks around the old quarter of Fira or boat excursions to the volcano and the island of Nea Kameni. Taken from a drone fly over that shows the hotel from above. 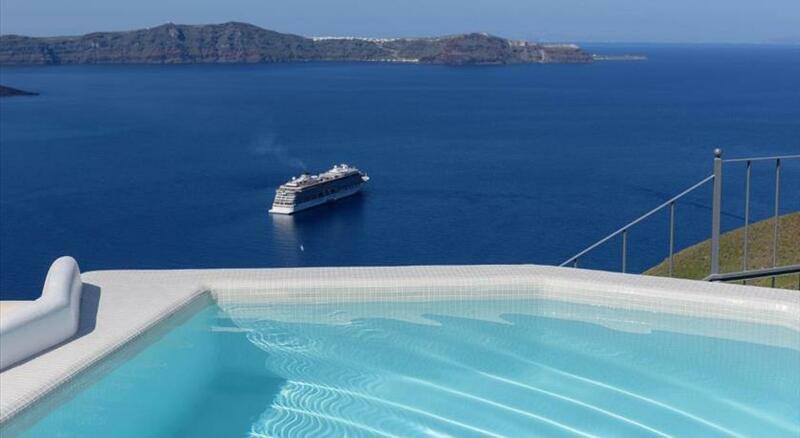 Porto Fira Suites is located in Fira's caldera. Guests are kindly requested to let the property know their arrival details (including flight number and airline company or ferry boat name), so the property can arrange porterage of your luggage from Metropolis Church in Fira to Porto Fira Suites.